I had time today to wade in on my game. I am reworking my game from Vulcan Jam 1 and am adding the final chapter. There were some lessons learned after making the game the first time. This time, I am trying to correct those mistakes. Today, I got mostly through reconstructing the first level using Unity's tilemap system and added some nice effects. I removed the annoying blind drops from the original level design, I optimized some code, am working on a more pixel-perfect camera. And, maybe some other things. Day Two of my work. I've remade level two. In the original version, every level was the same, just with different enemies and colors. So, this isn't exactly a "remade" level, this is a completely new level. 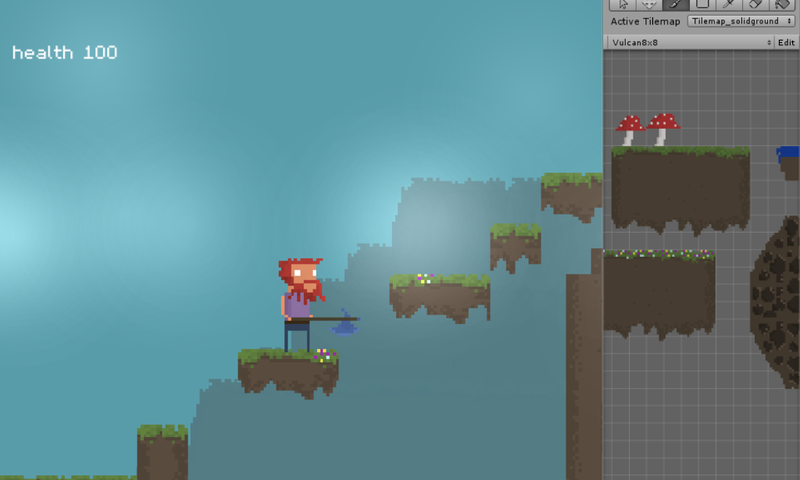 I also added spikes, bridges, have made some changes to how music and sound is mixed in the game, and other things. This is looking great. Keep up the good work!